Tablets are everywhere these days! They were made to make our lives easier and more convenient in so many ways. 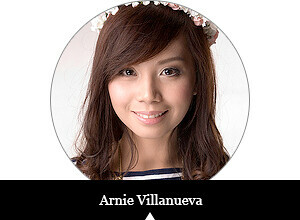 I'm also a tablet-user and it's very helpful for me especially as a blogger. I can effortlessly access my e-mail and social networking sites (which are all important in my kind of living), take advantage of its potential cell phone functions like messaging and video calling/teleconferencing, use the camera, edit photos, and entertain myself through reading e-books, playing games and listening to my playlist. No need to worry about premium price tags, though, because here comes Coby Kyros MID7011-TV 7" - a tablet that can give you all those features mentioned above and more in a very affordable price! 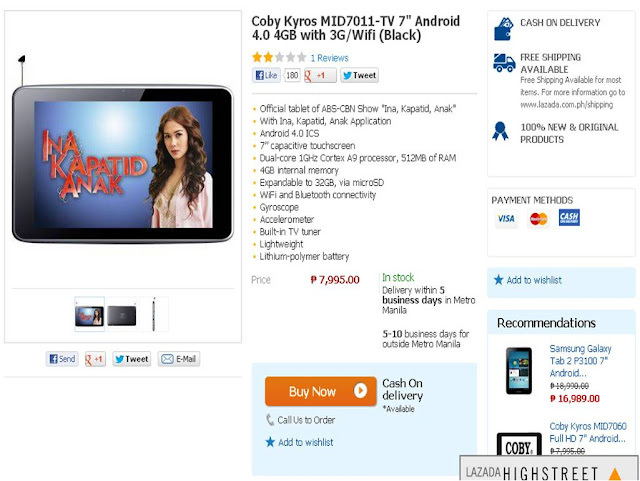 You can buy Coby Kyros MID7011-TV 7" Android 4.0 4GB with 3G/Wifi (Black) for only P7,995.00 at Lazada Philippines, the fastest-growing online shopping site in our country! Lazada offers worry-free shopping experience, with free delivery available, 7-days return policy and cash on delivery. You can surely trust Lazada! You can also browse through the other tablets that Lazada offers! Check them out here. For more information, discounts, promos and updates from Lazada, feel free to subscribe to their newsletter, like them on Facebook and follow them on Twitter.